In November of 2014, I wrote a blog piece about my childhood piano teacher entitled “Looking for Mr. Weiss”. Mr. Weiss fell out of my life when I graduated high school back in the 80’s, only to return a few years after my college years when my father mentioned he had run into him in an auto body shop in the town next to ours. It seemed sad that he’d put his music aside for something that could possibly ruin the very hands he used to create beautiful music, but it seems he was quite an enterprising and open minded human to transition to a new vocation. 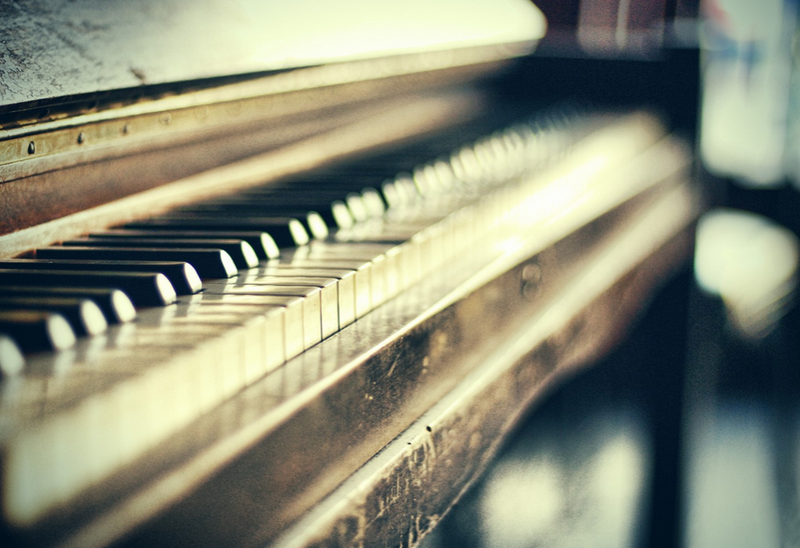 It inspired me so much, I began writing some outlines for a book inspired by him (not about him) – a fictional tale about a memorable piano teacher, with a flair for listening and showing children how to understand the beauty of music rather than just learn how to play scales. It was going to be a mysterious, twisty and strange story about a renown concert pianist who settled into a suburban life and then suddenly disappeared off the face of the earth, until a former student of his- a journalist, decided to look for him. I’ve since put the project aside since I’m spending more time writing about writing and building up a coaching/writers website. But I do return to the work from time to time, keeping the fires stoked so I can accomplish another publishing goal. But something has caused me to re-think the whole project. Last night, I was absolutely stunned to find out that his daughter, whom I remember as a very small child when I used to visit her father’s studio every week, has been trying to get in contact with me via email. Messages went by, and I never saw them, and if I did, I wasn’t aware of what they were. While working on Facebook last night, gearing up for this wonderful program I’m involved in called B-School, I saw a pop up message flash by. It was his daughter, telling me she was trying to get in touch via aboutme.com – which is the widget I use for my bio on this very page. I don’t know how to use it, and never expect to receive messages, so I suppose I saw her emails but didn’t realize what I was receiving, nor from whom. Yet, there it was in my gmail – the link to her string of beautiful remembrances of her father, Mr. Allen Weiss. The cosmic thing is – she found my blog post about her father late one night when she couldn’t sleep because she was thinking of her dad – who did indeed passed away a few years ago. She went online to do a Google search and found my post. And now I’m blown away. I’ve written back, absolutely devastated that I hadn’t known about these lovely messages. Hopefully, we can connect. Maybe the real Mr. Weiss’ story really needs to be told? Not a fantasized, fictional tale, but a true documentation of a gifted man who may have felt his best musical effort wasn’t good enough. A musician who tried to find a passion beyond the keyboard. A man who may have departed this world with the music still inside him. Perhaps I can find a way to honor this person who touched the lives of so many musically gifted and creatively inclined young humans who may have moved on to create music of their own. Mr. Weiss may have been the stone in the pond causing a ripple effect, positively changing the lives of the children of the children he taught. If he’d only known that he is so fondly remembered. How awesome to tell the world he existed? Something that would do his family proud? That would be an amazing feat. I’ve found Mr. Weiss, but maybe my search has only just begun. Categories: Friday Gratitude | Tags: Finding Mr. Weiss | Permalink. This is so wonderful… this is why I love social networks. Thanks so much! Isn’t it amazing? It gave me chills and I’m so glad his daughter could see that someone out there still remembers him.